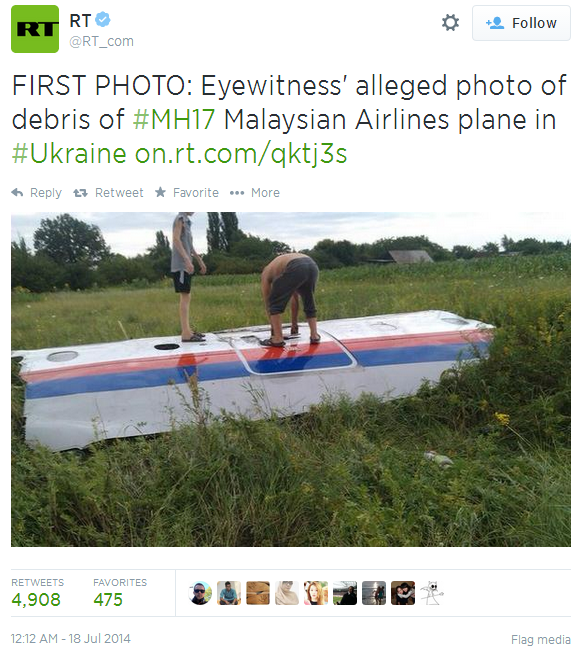 18/7/14 – 7.30am (UTC+08:00) In Media Statement 2, Malaysia Airlines amended the number of passengers that were on MH17. 18/7/14 – 05:00am (UTC+08:00) Statement by Prime Minister Najib Razak, posted in Facebook. “If it transpires that the plane was indeed shot down, we insist that the perpetrators must swiftly be brought to justice,” he says, adding that he’s spoken to both President Obama and the president of Ukraine and both have pledged their support. Another video has surfaced showing alleged footage of the crash. 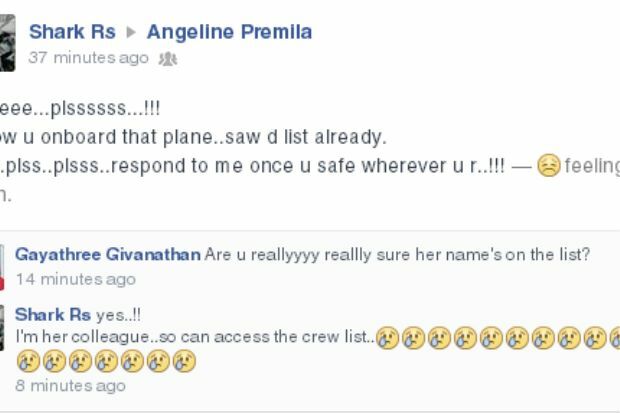 One of the stewardess that is believed to be on board the Boeing 777 is Angeline Premila who is in her mid twenties. Her friends are writing well wishes and prayers on her Facebook wall, hoping for her safe return. One of our readers who prefers to stay anonymous just sent in this to us. Is it such a coincidence that this tragedy occurred on this plane’s 17th anniversary? According to Lim Kit Siang, a Malaysian politician, BBC News has reported that shooting down a plane at 10,000 (9.7 miles) requires a long-range surface-to-air missile which could be possibly guided by radar. 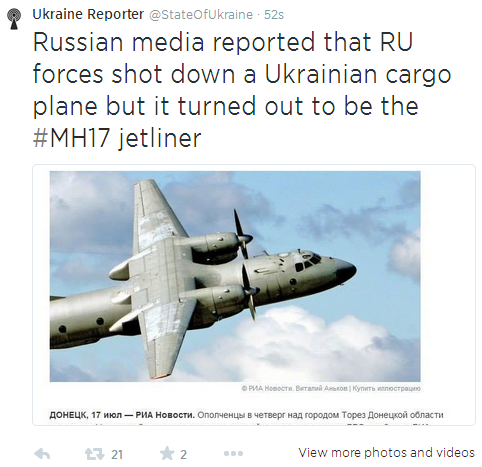 It is also possible that the aircraft was shot by a fighter carrying air-to-air missiles. A Malaysian passenger airliner, a Boeing 777-200, with 295 passengers which was flying from Amsterdam to Kuala Lumpur, crashed in Ukraine today. It was supposed to arrive in Kuala Lumpur at 6.09am tomorrow but has reportedly lost contact with the Malaysian Airlines while over Ukranian airspace. 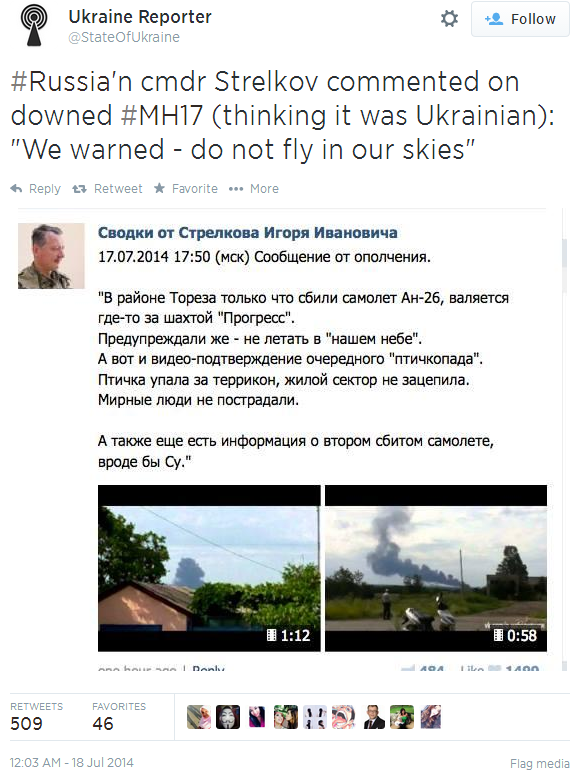 The news has since been confirmed by MAS via Twitter account. A video footage was captured by some locals in Ukraine. Another video also surfaced later. According to Malaysiakini, an unnamed source said that it “began to drop, afterwards it was found burning on the ground on Ukrainian territory. The plane is suspected to have been shot down as it was in a region of military action.Malaysia’s Prime Minister has tweeted about the incident and promises an immediate investigation. 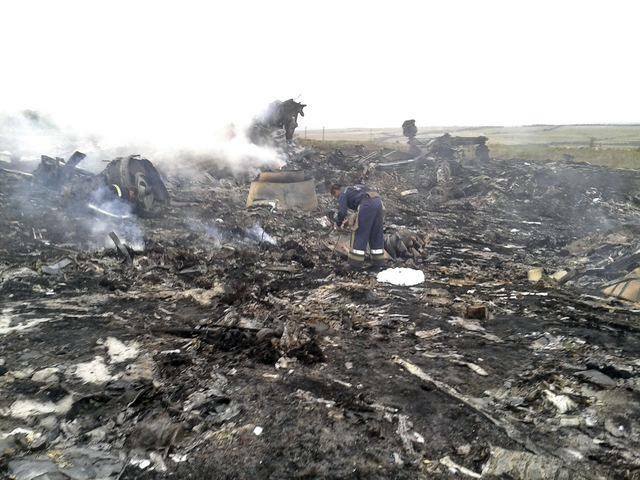 According to Mashable, an adviser to Ukraine’s Interior Ministry reports that the plane was shot down by a ground-to-air missile, Reuters tweeted today, and the Ukrainian interior ministry adviser has reported that there are no survivors, according to The Telegraph. 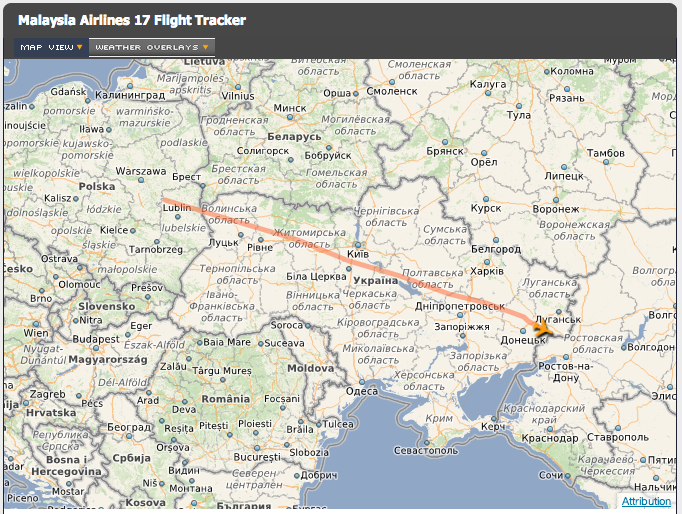 An image was obtained from flightstats.com, showing the plane’s last known location. Many pictures of the crash site have surfaced online, of which most are pictures of bodies and debris of the crash site. 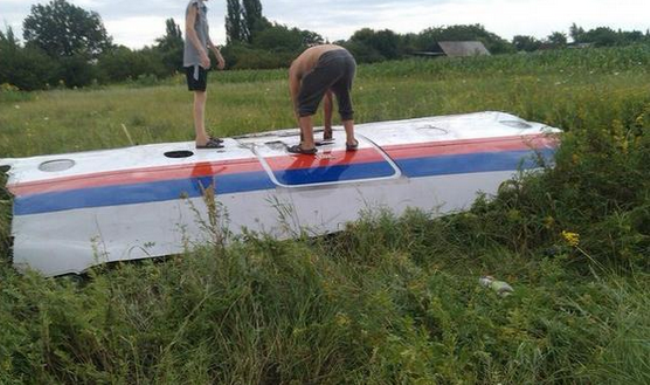 This is one of the pictures from an eye witness of a part from the MH17. This tragedy is barely a few months away from the MH370 incident whereby 239 people on board the Malaysian Airlines plane disappeared on route to Beijing. The plane has not been found and no debris or crash proof has been discovered. We at Vulcan Post are keeping the passengers, crew members, and their families in our prayers.